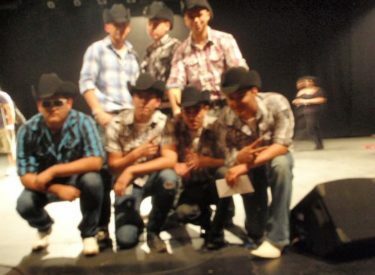 Los Compas de LHS won last night’s LHS Variety Show in Maskus Auditorium. Jose Tiscareno, Marco Herrera, Josue Romero, Edgar Mesta, Socorro Martinez, and Ulises Rosales make up the band which also plans to perform at Cinco de Mayo. They also won the musical category while Dylan Holt and the Sunshine Stepper(Nick Moore) took second. LBJK was 1st in the singing competition while Tonya Lujan was second. Morgan Wills won the dancing competition while the Senior Dance Troupe was second. Jesus Cordova won the Dramatic/Comedic division while Brian Francis was second. LHS Student Council presented the event Monday night and awarded 100 dollars to Los Compas de LHS. Fifty dollars went to the division winners and 25 dollars to the second place finishers. KSCB’s Brock Kappelmann was one of the judges of the event.